Real Madrid : Keylor Navas, Lucas Vazquez, Raphael Varane, Sergio Ramos, Marcelo, Luka Modric, Toni Kroos, Marco Asensio, Gareth Bale, Karim Benzema, Cristiano Ronaldo. Liverpool : Loris Karius, Ragnar Klavan, Jordan Henderson, Georginio Wijnaldum, Andrew Robertson, Virgil van Dijk, Dejan Lovren, Dominic Solanke, Sadio Mane, Roberto Firmino, Mohamed Salah. 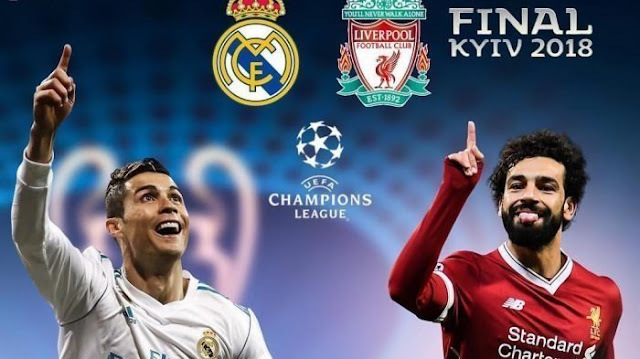 0 Response to "Live Streaming SCTV Final Liga Champions Real Madrid vs Liverpool 27 Mei 2018"